The General Mercer Lodge No. 548 is a Masonic Lodge that operates under the jurisdiction of the Grand Lodge of Canada in the Province of Ontario, and meets at the West Toronto Masonic Temple in the Junction neighborhood of Toronto. Our lodge was constituted in 1919, and has been an active lodge ever since. Our current membership consists of a diverse mix of men of all ages and professions, who come from a variety of cultural and religious backgrounds. Below you will find a short history of the founding of our Lodge, as well as profiles of a few of our past members. 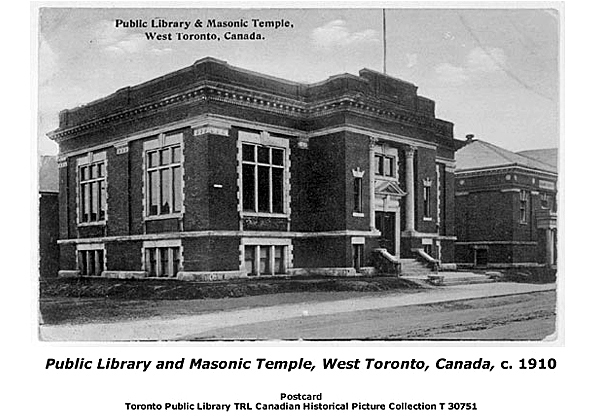 In November 1918, when the armistice ending the First World War was signed, there were 39 Masonic lodges in Toronto. As the process of demobilization continued and the troops came home from the battlefields in large groups, it became obvious that 39 lodges would not be equal to the task of properly dealing with the hundreds of soldiers returning to Toronto who would be knocking at the portals of Masonry for admission. Among these young men were many sons of Masons, and others who early in life had formed a favourable opinion of Freemasonry and had resolved to file their petitions for initiation upon attaining the required age of 21 years. Before that time arrived, however, they had answered the call to overseas service in defence of liberty and freedom of the human race. Now they were home again, more anxious than ever to become members of the craft. The Freemasons of Toronto sensed the situation and began to plan new lodges throughout the whole area. 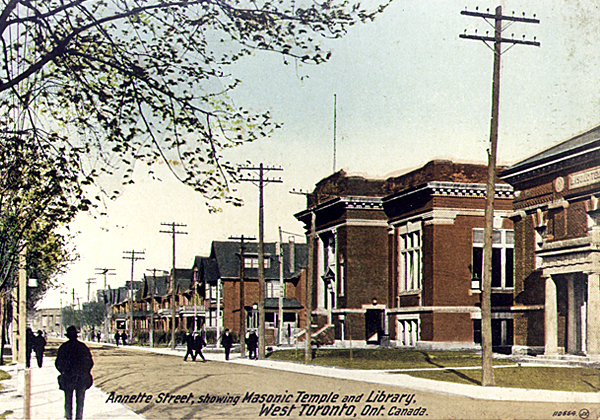 In the West Toronto Masonic Temple, which had been erected in 1909 and which at the time had only four tenants, Stanley, Victoria and Temple Lodges, A.F. & A.M., and Shekinah Chapter R.A.M., there were many vacant nights available. At the request of R.W. Bro. Allan B. Rice, who had served as District Deputy Grand Master in District No. 11 during the preceding year, and the members of the three Craft Lodges, the initial steps were taken for the formation of a new lodge. The consent of R.W. Bro. Alexander J. Anderson, Past D.D.G.M., was obtained to become Worshipful Master of the new lodge while it operated under dispensation from Grand Lodge. In view of the pressure of business in his law practice at the same time, R.W. Bro. Rice would carry on the duties of organizing the lodge. Accordingly this was done and the officers were selected by the two Past D.D.G.M.’s mentioned above. The names of the proposed Wardens, as well as that of the Worshipful Master were shown in the petition for dispensation. Chosen for those offices were: Bro. John A. Copeland, Past Junior Warden, a member of Temple Lodge; and Bro. A. Gordon Rice, Master Mason, a member of Victoria Lodge, as Senior Warden and Junior Warden respectively. The names of the charter members are shown on our warrant. R.W. Bros. Anderson and Rice had for some time difficulty in choosing a name for the new lodge. In many of their evening conferences about lodge details in the study of R.W. Bro. Anderson’s home, the question of name was discussed but no decision had been reached on the several names which had been tentatively suggested. A solution to the problem came after Mr. Frank Mercer had presented R.W. Bro. 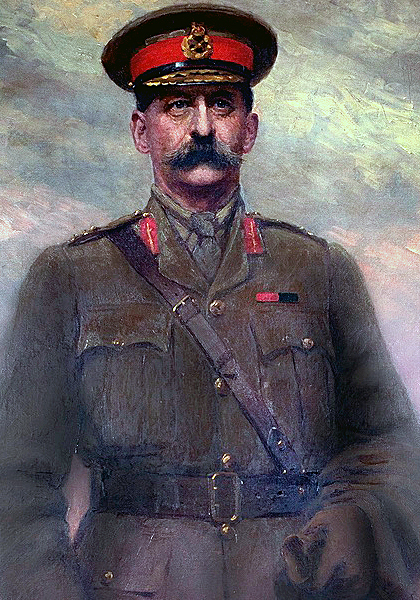 Anderson with a framed photograph of his brother, Major-General Malcolm S. Mercer, C.B., who had made the supreme sacrifice at the battle of Sanctuary Wood on June 2, 1916. The portrait was of special interest because, wearing his uniform, the General had posed for it only a few days before he was struck down by enemy shell and had probably never himself seen the finished product of the photographer’s art. Lodge membership continued to grow in the inter-war period, and again after the end Second World War. Much of the membership in the post-war period consisted of employees of the Canada Packers meat packing facility in the Junction neighbourhood of Toronto. While membership numbers began to decline in the latter part of the 20th Century, the diversity of the membership grew to reflect that of the City of Toronto. Today, a new generation is discovering Freemasonry and seeking admission to our Fraternity, and we now count among our members men of a wide range of ages, professions, and cultural backgrounds. Installing Master at The General Mercer Lodge installations of 1922, 1923, 1924 & 1925.